I was thinking to do this trek since long time and I got this opportunity last month during the Independence Day long weekend. As it was a long weekend, I successfully convinced two of my friends to join me on this trek. Just after they nodded yes, I started preparing and collecting equipment required for the trek. We were already told by one of our contact persons at Ghangaria (a village where we had to stay at night during the trek) that there would not be any room available during the weekend. So we decided to take our own tents, sleeping bags and mattresses with us. We rented sleeping bags and mattresses and started our packing. We all reached ISBT Kashmere Gate to board our bus to Rishikesh. As usual, we reached our destination early from the scheduled time. 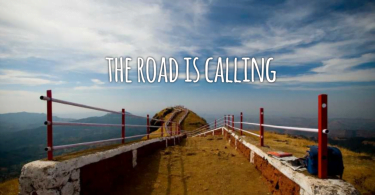 We enquired about the bus to Govindghat and luckily we found one which was scheduled to depart at 5 AM. Then we started our mountain journey to Govindghat. 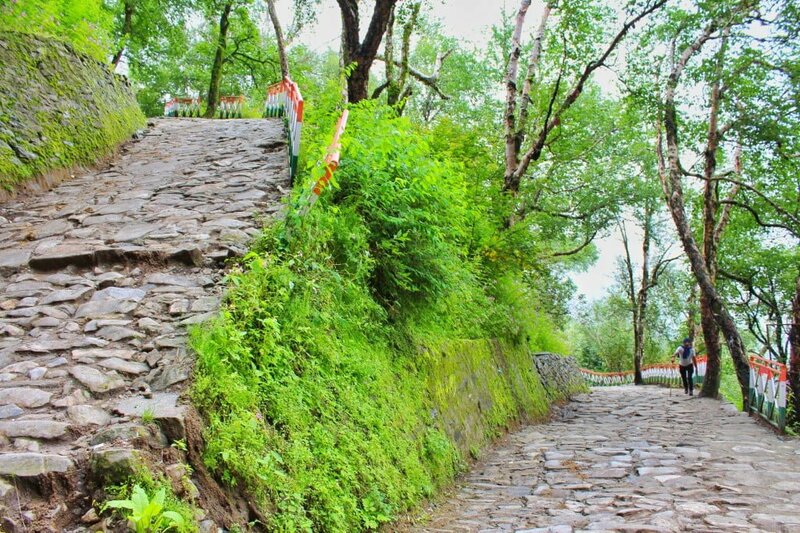 Govindghat is a small village situated on the Rishikesh Badrinath highway and is the starting point of treks to Valley of Flowers and Hemkund Sahib. 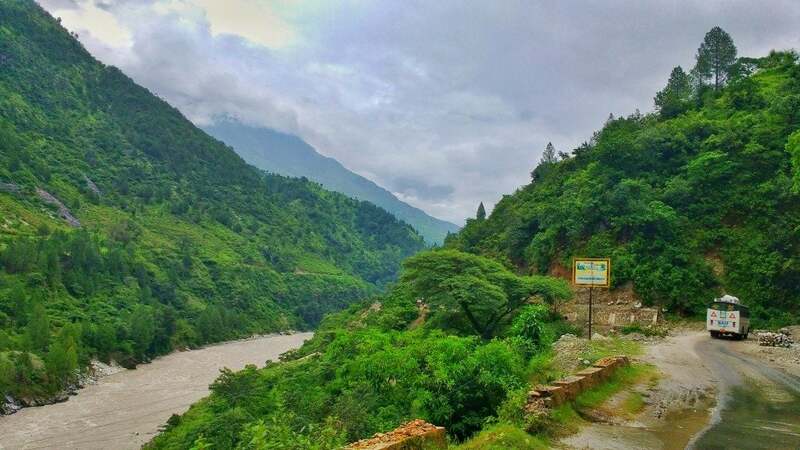 The village is located 270 km far from Rishikesh. We crossed Devprayag, Srinagar, Rudraprayag, Karnaprayag, Chamoli and Joshimath to reach the village. The condition of road was good except for some stretches. We found landslides too at few locations. 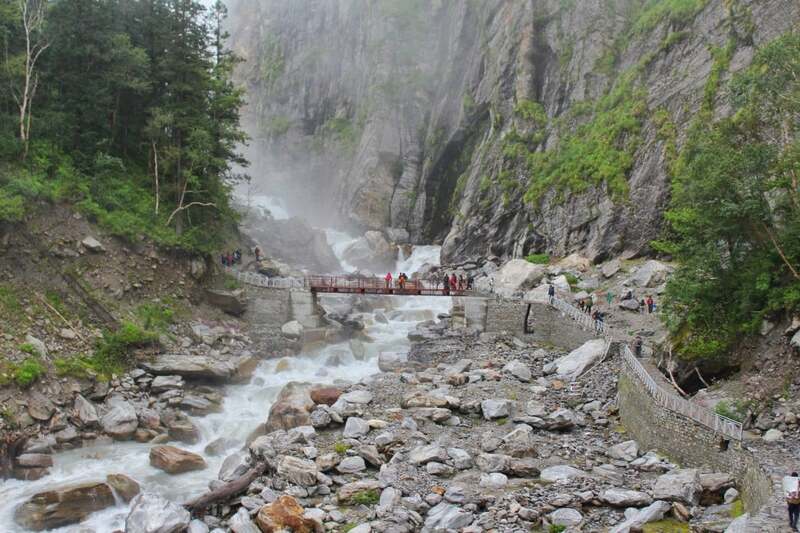 As it was a monsoon season, landslides are very usual in this region. We reached Govindghat at 5 PM. We were exhausted after this long 17 hours road journey so we just had dinner at a dhaba and stayed in a hotel for the night. Took our loaded sacks and moved towards the bridge where we registered ourselves and hired a taxi to Pulna village. It took 20 minutes and we reached Pulna. 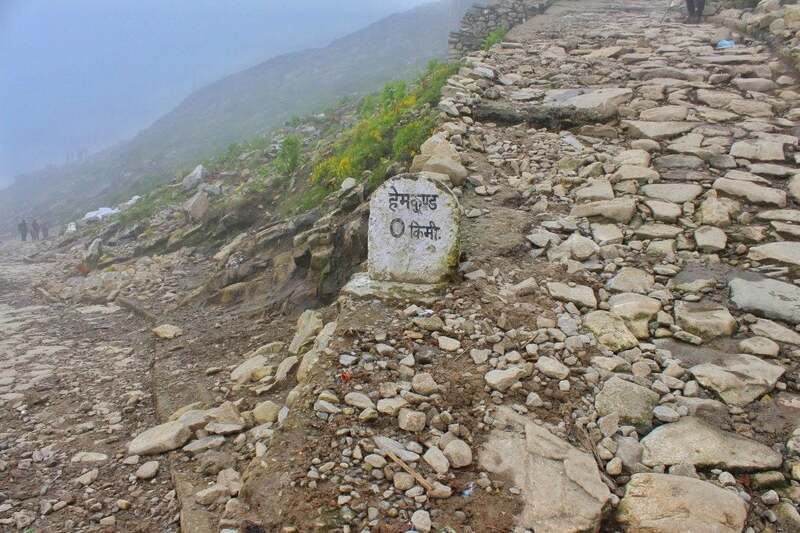 Pulna is the point from where the actual trek starts. The trek was 10 km in distance. The trail was well paved and quite broad. It was also not very steep except some stretches. 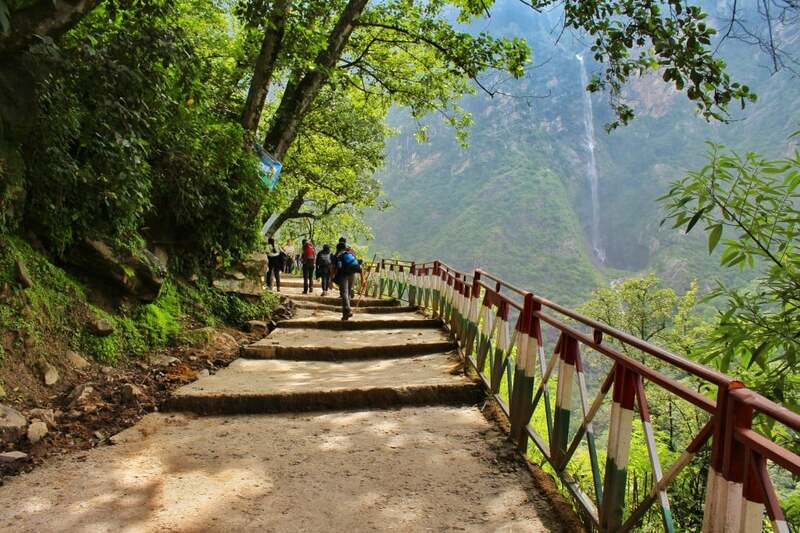 While trekking we got some amazing scenes of valleys and waterfalls. We reached Bhyundar village in around 3 hours where we had our lunch. After filling up our stomach, we resumed our trek and continued till reaching Ghangaria. It took another 2 hours to reach our destination of the day. Ghangaria is a small village situated on the way to Valley of Flowers and Hemkund Sahib. The village is equipped with some basic facilities such as phone connectivity, electricity, hotels, restaurants, etc. 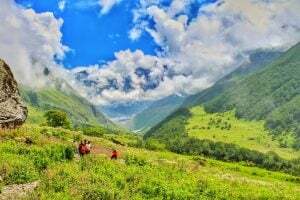 When we reached the village, we could see the hustle bustle of trekkers who also came there to visit the Valley of Flowers. We looked out for the location where we could pitch our dome tents. After looking for 1 hour, finally we got space inside the GMVN tourist rest house. Later we had dinner and slept inside our tents. 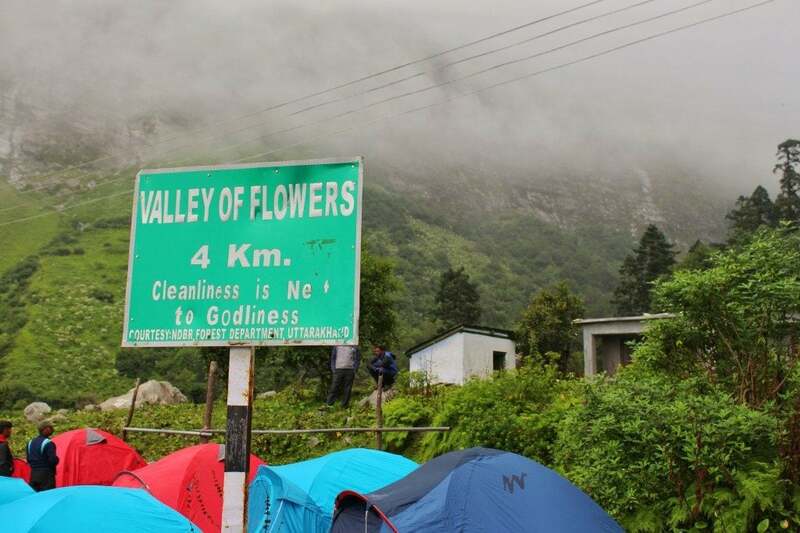 Well our plan was to leave for Valley of Flowers early by 5 AM but when we woke up it was raining so we dropped the plan and went to sleep. Finally woke up at 7 and got ready. 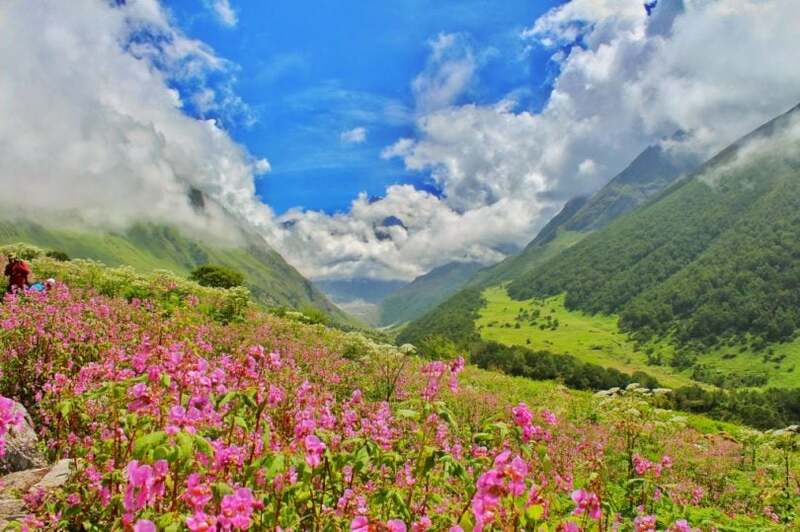 Valley of Flowers was 3 km from the Ghangaria village. We took the trail to the valley and reached the forest check post where we paid the entry fees. 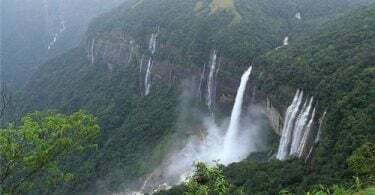 We continued our trek and reached a massive waterfall of river Bhyundar. We took a short pause there and clicked some photographs. The trail after the falls was steep till the entrance of the valley. We were excited to reach there, so we walked fast. 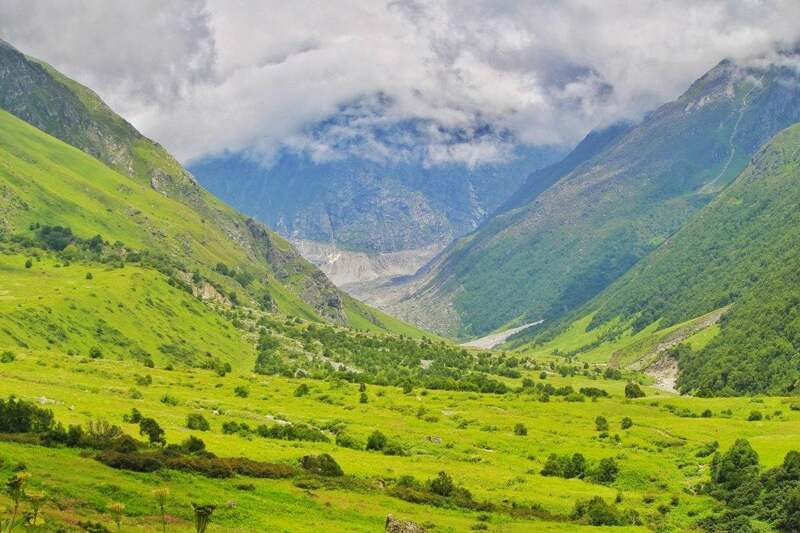 Then we had our first glimpse of the Valley of Flowers. It was looking exactly like a scenery. It was hard to believe that we were seeing it in real. The valley was breathtakingly beautiful. 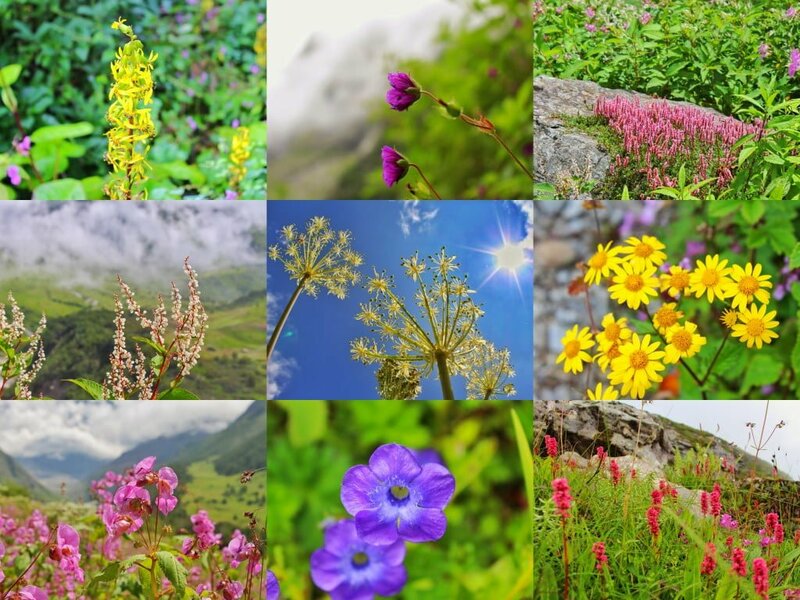 We explored the whole valley and were trying not to miss a single point and flower. We did a long photoshoot there, visited the grave of John Margaret and meditated there, took a stroll near the river stream and experienced the beauty. We started returning to the village at 4 PM and probably we were the last one to take the exit. Reached the village at 6:30 PM. Started our day with a piping hot tea in our hands. 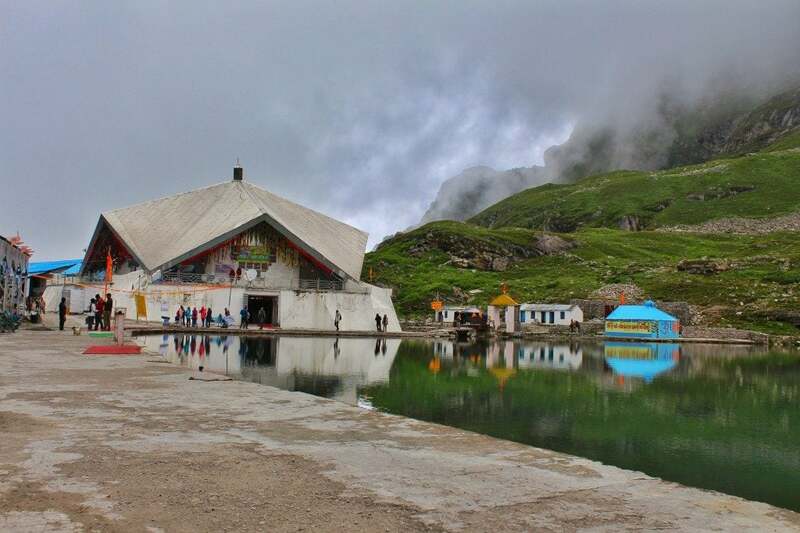 Got ready and moved towards the world’s highest gurudwara, Hemkund Sahib. The trek distance from Ghangaria village was 8 KM. We took the trail and started our trek with our constant pace. The trail was steep and was made in a zig zag form, however it was well paved. The weather started changing as we were moving upwards. It started getting cold. We put on our wind sheeters to cover our body from that icy cold wind. We reached the Gurudwara by 2:30 PM. The gurudwara had been closed by that time but apart from us there were some other people who wanted to visit. So they opened the door and allowed us. The place was very peaceful and interiors were quite alluring. After exploring, we had our lunch in the world’s highest langar and then we started descending towards Ghangaria. After having dinner, we packed up our bags because we had to leave early for Govindghat. Started descending at 7 AM and it took us only 2 hours to reach the Pulna village. We did our lunch at Govindghat and then boarded our bus to Rishikesh for our return journey. We reached Delhi next day by early morning. The trek was amazing. 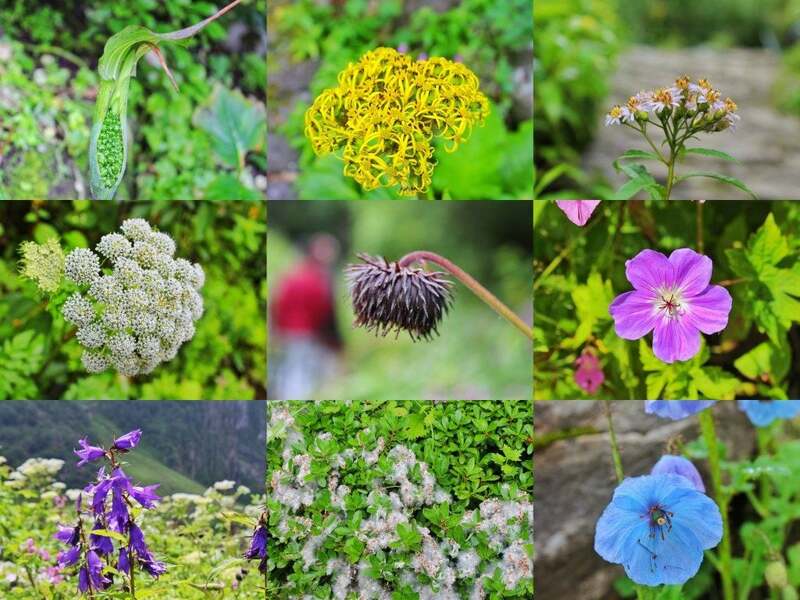 We were lucky enough as we found several varieties of flowers there. We visited during the best time (mid july – mid august).